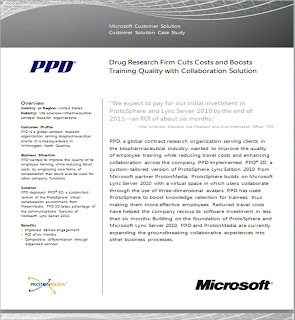 We would like to thank the folks at Microsoft for publishing a case study about the use of ProtoSphere Lync Edition, at PPD. PPD is experiencing some very positive results from using ProtoSphere. Give it a read, it is full of some very interesting metrics. Also a big thank you to PPD for taking part in this case study. It it very insightful.